HOUSTON (KTRK) -- Sandra Carpio, 24, a single mother of five young children, was found dead in the family's apartment just east of downtown Thursday morning. It's believed the children discovered her body. 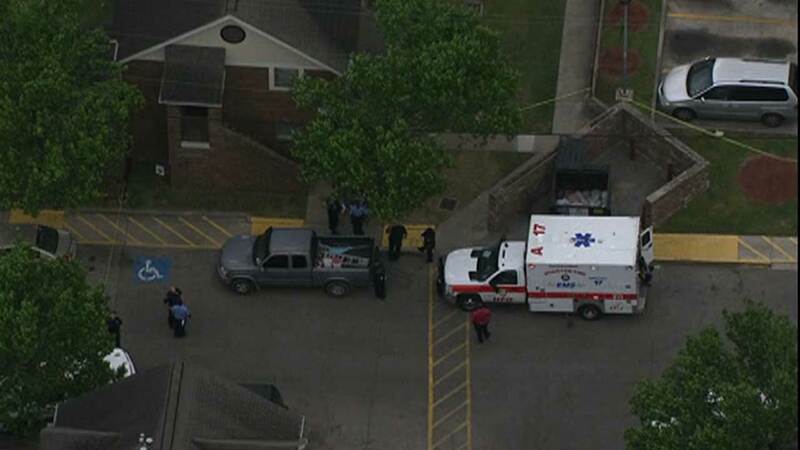 Houston police say one child called a relative who alerted office staff at the Clayton Homes apartments in the 1900 block of Runnels shortly after 9am. 911 was called. At first, it was reported as a "natural" death. But homicide officers discovered it was instead murder. Carpio showed signs of head trauma. Police aren't saying whether she had been beaten or shot. Neighbors say the children walked outside the apartment, telling them "my mother's dead." It brought tears to the eyes of those who heard them. "Oh my goodness! That is so sad! I just can't say anything else," neighbor Kita Thomas said through tears. "My heart breaks for those kids. I just seen one of her kids like, just say, 'My mom is dead.' That is so sad." "Those kids don't have a mother to wake up to anymore," said neighbor Tiffany Chappell. Even as police were investigating the murder scene, more officers found two men in a car by the nearby McKee Street bridge. One man lived at the same complex. The other was Carpio's boyfriend. A homicide officer said the men stated they were looking for the suspect. The pair told investigators Carpio was already dead when they came to the apartment Thursday morning. They were taken in for questioning. Carpio was described as a good mother by Tamyka Savoy, who is the paternal grandmother to several of the children, who range in age from one to eight years old. "I know they'll ask questions," Savoy said. "I'll tell them she's an angel, she'll always be with you and you'll see her again someday." The children are in the care of Children's Protective Services until they can be placed with a family member.